A walk down the aisle under the shade of palm trees and surrounded by beautiful exotic blooms. Your tropical garden wedding will fill with the scent of tropical flowers and ocean breeze. All concepts can be personalized to suit your uniqueness for your ultimate holiday villa wedding. 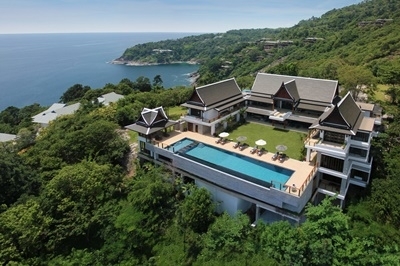 Very few properties on Phuket can boast such expansive and sweeping sea views, which can be enjoyed from almost every location within this luxury 7 bedroom private villa.